Home Features Have Chelsea Been Wasteful With Letting Players Leave? 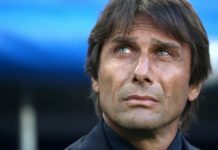 Have Chelsea Been Wasteful With Letting Players Leave? Sometimes in life, despite persistent effort, hard work, and attempts at success, we fail regardless. It can happen in so many instances and football is not immune to this outcome, more specifically Chelsea FC. Given their poor results this season, putting aside their triumph at the weekend, there must be a deeper exploration as to why they have failed to defend their title. 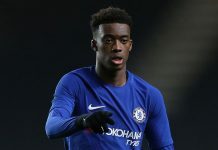 With all of the work that Chelsea have done in the transfer market over the last few seasons, all of the moves they have made, they have sold several players in the process. But given their record this season, could it be possible that the Blues have made a mistake in selling certain players? Keeping this in mind, I have chosen to name some of the players Chelsea have sold in the last three seasons. This will help us decide how well the Blues have fared overall. The Czech International is currently plying his trade in North London, having asked for a move to the Gunners over the summer. 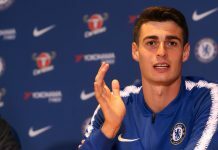 At the time, Jose Mourinho had made it clear that Thibaut Courtois was going to be the favored man between the sticks, and Cech felt it necessary to move on to continue his playing. Cech’s desire to play was more than understandable, as his playing time had been severely compromised due to the Belgian’s arrival. Having fought back from an incredible head injury in his earlier years, it would have been foolish to continue his career on the bench. While the move to sell Cech should ultimately prove to be the right choice, it is definitely apparent that Chelsea lost something quite special. The Czech International has instantly made Arsenal a better squad, quite possibly a title-winning club. He has boosted their play and has proven to be much stronger than any goalie they have persisted with in the recent past. That being said, choosing Courtois in favor of youth and potential was the right way to go. Chelsea got this one correct. Chelsea have sold two left-backs in the past three years. Both casualties to the superb Cesar Azpilicueta, who has kept both of them out of the starting lineup, playing on the opposite side of the pitch. However, what Jose Mourinho could not see, was the rapid decline of Branislav Ivanovic. He has been a major problem in Chelsea’s defense this campaign, with most opposing teams targeting the Serbian. If Chelsea had a left back with the quality of Bertrand or Luis, it would be easy to deploy Dave on the right and know they have strong cover on the left. However, with Baba Rahman, it’s not so straightforward. Furthermore, Baba cost Chelsea £21 million, where Bertrand was homegrown and Luis came cheaper. Chelsea made a severe mistake letting both of these quality full backs depart. Luis was after more playing time which was fair given his age and experience with Atletico Madrid prior to his Chelsea move. However, no one should have ever let Ryan Bertrand leave Stamford Bridge. He was on the EPL Team of the Year last season and continues to perform. Chelsea got this one wrong. This one requires little to no explanation. David Luiz was a defender, who was poor at defending. £50 million for his services was a masterstroke from Mourinho and Chelsea would have been ludicrous not to accept the offer. Romeu is a case that is probably not yet decided. However, he’s failed to impress at any of his loans. He has marginally turned a few heads in preseason matches, but these can’t be relied on as accurate tests for the Spaniard. He was sold to Southampton this summer for around £5 million. Though he has featured in most of Southampton’s matches this season, he hasn’t done enough for Chelsea to regret his sale. Chelsea appear to have got this one right, though he may prove his worth as the years go on. 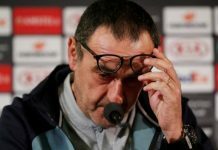 Perhaps Jose Mourinho’s largest shortcoming as Chelsea manager was allowing Blues fans to see the back of this man as he swapped Stamford Bridge for Old Trafford. The Spaniard did not fit the Portuguese’s idea of a No. 10, instead opting for Oscar. 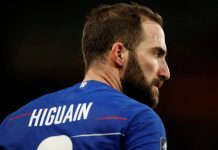 While the Brazilian has impressed in a few circumstances, Mata had been Chelsea’s player of the season for the past two before Mourinho’s arrival. 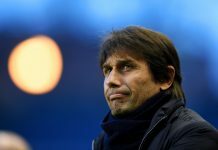 He didn’t offer Chelsea the ability to defend as well as Oscar and was ultimately relieved of his duties in January. However, Mata would be the ideal No. 10 to be playing in this squad. We’ve witnessed how deadly Cesc Fabregas can be in possession. Imagine him linking up with someone of Mata’s ilk. The two would handle Chelsea’s creative impetus, with Willian, Hazard and Costa making runs off the ball. It would give Chelsea a different dimension, allowing them to be more creative and break down teams. 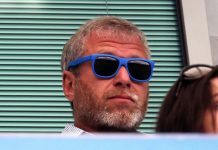 It would suit Abramovich’s goal of more attractive football. All the way around, Mata’s sale to Manchester United was a large mistake. Chelsea got this one wrong. You know this player would be next didn’t you? If allowing Mata to leave wasn’t Mourinho’s biggest failure, than DeBruyne’s sale to Wolfsburg could be. The Belgian has been sensational ever since his departure from Stamford Bridge. Failing to make an impact in his first 6 months with Chelsea, Mourinho opted to recoup money on the Belgian. The rest of the story tells itself. He went on to Germany to become one of the league’s standout performers for a season and a half. He then made his move back to England at Manchester City and is a huge focal point in their attack. The Belgian is dynamic, lethal and quite talented. He’s shown this at both the club and international level. Chelsea would be a far better team with him in the side. Perhaps, a bit of patience on the Blues’ part would have not seen them suffer so severely this season. Chelsea got this very wrong. The sale of the German to the Bundesliga a year after his former teammate DeBruyne was not as high profile of a mistake, but one just as grave. The German on his day is one of the best players in the Premier League. 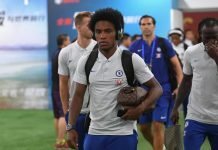 Though he failed to hold onto a regular spot in Mourinho’s squad, given Willian’s ability to track back and Hazard’s status, he was still brimming with quality. There have been countless times the German proved his dominance throughout his Chelsea career and even on the international stage. He scored the first goal of the two Chelsea needed to put them past PSG in the Champions League two years ago. He also engineered the pass to Mario Gotze that would be the winning goal in the World Cup. One needn’t look any further than his hat trick against Newcastle to see the German’s brilliance. He offered Chelsea something different with his runs in behind defenders and his dynamic play. The largest proof of Chelsea’s mistake to sell the German is in the replacement they brought in, Juan Cuadrado. Has there been a more ineffective player in a Blue jersey than the Colombian? 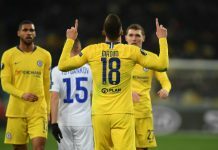 As Schurrle departed for Wolfsburg and the Cuadrado entered the fray at Stamford Bridge, it was easier to tell that the Blues were a weaker team as a result of their business. Chelsea got this one wrong. This case was not so cut and dry. It is easy to say that Chelsea should have held on to the Belgian. He had several successful loan spells and had announced himself on the biggest stage. Now with Chelsea’s shortcomings in front of net, it’s easy to turnaround and say where is Lukaku? 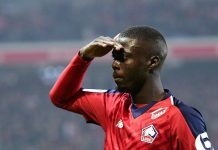 However, the Belgian had very high hopes for a starting place, something that Chelsea couldn’t offer with the incoming Diego Costa. 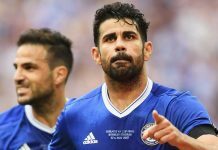 It proved to be a good decision as Costa has scored 20 goals. Had Lukaku been willing to accept a smaller role to begin with, we wouldn’t be having this conversation. But the striker wanted to play, and Jose let him leave. It’s easy to play armchair quarterback and question the sale of Lukaku, but at the time, it was the only move fair to both the player and the club given the situation at hand. Chelsea got it wrong, but Lukaku played a part in the decision. Most of these players are examples of moves Chelsea should not have made. Sometimes transfers for the sake of doing business don’t help advance a club. It may be harder work, but finding ways to incorporate fringe players into the side can have enormous benefits long term. Had Chelsea had one or two of these players this campaign, the Blues wouldn’t be in the bottom half of the table right now. Chelsea must consider these failed transfer dealings going forward. It’s important to buy players and keep the talent rolling into Stamford Bridge. But it’s also important to hold onto your greatest assets. The Blues let some high profile players leave and now they are paying the price. Tyler Strauss is a featured writer at CFCnet. Follow him on Twitter. Next articleTransfer Centre – Cahill, Van Persie, Miazga plus more..